PlayStation TV price cuts have been enacted by various United States retailers. The cuts came from GameStop, Best Buy, Amazon and Walmart, who have all cut the initial $100 price down to $80. This price cut does not come from Sony itself as the company’s online store is still selling both the PlayStation TV and a bundle for $100 and $140 respectively. The price cut of $20 is not likely to move multiple units of the tiny streaming device. The PlayStation TV launched in Japan back in 2013 as the PlayStation Vita TV. 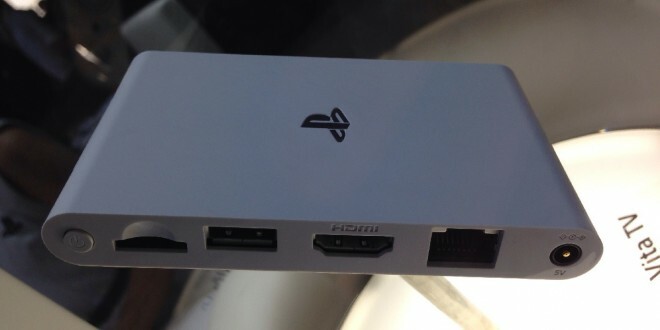 It came out to Western territories in 2014 and was renamed the PlayStation TV, likely to differentiate it from the struggling PlayStation Vita hardware. The tiny little console can play many, but not all, PlayStation Vita, PlayStation One Classics, and PlayStation Portable games. Added on top of that is the ability to Remote Play all PlayStation 4 games, allowing you to stream your PlayStation 4 games on another television and control it with a Dualshock 4 instead of the PlayStation Vita. Most recently the PlayStation TV has received PlayStation Now support, which itself finally detailed the month-to-month pricing model of $19.99 per month for unlimited streaming. The PlayStation TV price cut is a sign that the micro console is not selling enough copies for the shelf space it is occupying in retailer’s stores. While useful for the ability to remote play the popular PlayStation 4 console, its other features are lacking. The user interface is a copy of the PlayStation Vita and you can’t use it to stream Hulu Plus or Netflix video content. Some of the games that were initially listed as compatible are no longer available to play on the PlayStation TV, including big Vita titles like Tearaway and Gravity Rush. The small hardware uses the PlayStation Vita memory card format, which is egregiously overpriced, and doesn’t output 1080p video or surround sound. All of this makes for a very unconvincing argument in favor of the PlayStation TV, and the price drop of $20 isn’t making it any more worth it currently. Sony has little to no interest in expanding the PlayStation TV’s options either, and the micro console will likely go on into obscurity.